The much-awaited squad of India National Cricket Team for the ICC World Cup 2019 has been announced at a press conference in Mumbai on Monday. The mystery which was in news for more than 5 months, all resolved in a meeting of the five-man national selection committee led by MSK Prasad, Indian captain Virat Kohli and head coach Ravi Shastri at the Centre of BCCI in Mumbai. India’s squad is not very surprising – selectors have a strategy defined by caution in the middle order and they’ve chosen experience & stability over risk, possibility, and explosiveness. 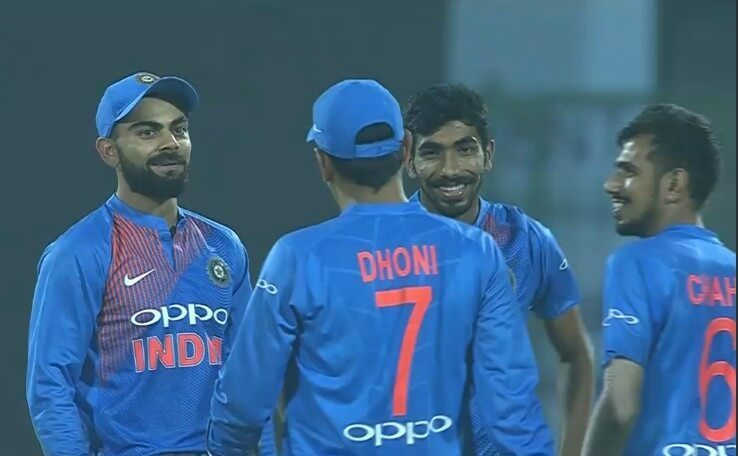 Let’s have a look at Indian team Squad for World cup 2019 and find out who got the place and who got the disappointment. There was a race between Dinesh Kartik and Rishabh Pant to become the second wicket-keeper in the Indian team, and Karthik beat Pant in the race and found a place in the Indian National Cricket Team for World Cup 2019. “Wicketkeeping also matters. That is the reason why we went with Dinesh Karthik otherwise Rishabh Pant was also there,” chief selector MSK Prasad said. “The second wicketkeeper comes into play only if Mahi is injured. We went ahead with Karthik because of his experience in big matches,” Prasad added. Ambati Rayudu lost in the battle for No.4 position while KL Rahul earned a place in the squad. “After the Champions Trophy, we have tried a few middle order options. We gave a few more chances to Rayudu but what Vijay Shankar offers is 3 dimensional. If the conditions are overcast. he might bowl a bit and he is a fantastic fielder. He is a batsman who can bowl.” Said MSK Prasad on the selection of Vijay Shankar. Ravindra Jadeja also got a place as the third spinner in Indian team Squad for World cup 2019. He can be a good option if the pitches in England offer turn. Also, his fielding and batting skills will be an asset. Indian National Cricket Team is all set to play ICC World Cup with 6 Batsmen, 4 All-rounders, 5 Bowlers. Here is the Indian team Squad for World cup 2019. India will start their campaign on June 5 when they clash against South Africa in Southampton. Their high-profile game against Pakistan will take place on June 16 at the Old Trafford, Manchester.